Blount County, Tennessee, sits in a sweet spot in the Smoky Mountains. Great Smoky Mountains National Park (GSMNP) takes up the southeastern third of the county, forming a wild and formidable playground. 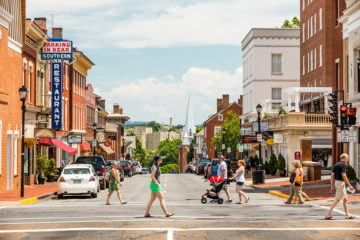 Gatlinburg and Pigeon Forge, to the northeast, offer a bit of flashing-lights-airbrushed-shirt-kettle-corn reverie (plus Dollywood, a legit excellent amusement park). 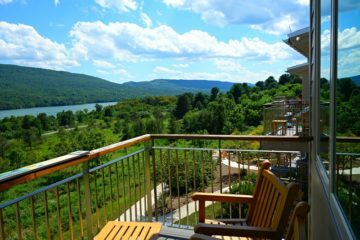 Knoxville presents city distractions and is an outdoorsy locale in its own right. 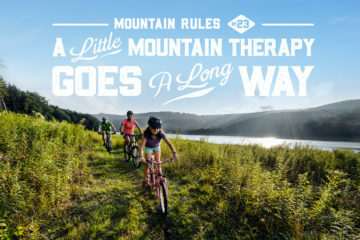 But Blount County and its pastoral charm, friendly faces and abundant natural distractions—fly fishing, cycling, hiking, tubing (hey, you gotta’ have a little lazy time, right? )—make it the place to be. Pack the cooler, put the bike on the rack and get your road trip playlist queued up, it’s time to head to Tennessee. Show up early because one way or another, it’s a big first day. 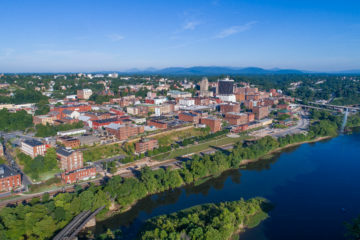 Anglers and those with the desire to try fly fishing in a place guaranteed to wow you with the scenery at the very least, head to Maryville, the largest town in Blount County (and home of the airport serving Knoxville and the region), where Frontier Anglers awaits. 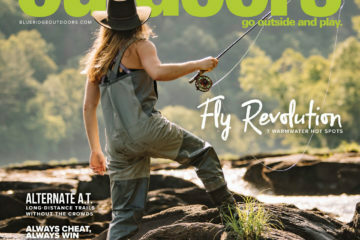 This fly fishing guide service can point you to some great spots or they can take you out on guided wading or float trips for trout and bass. They fish in the National Park (some prime streams there) or tail waters like the Clinch, Holston and Caney Fork Rivers. 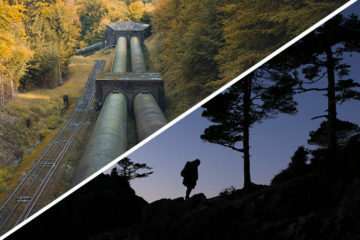 (You can also make your 48 hours simple and stick with Frontier for a two-day fishing and camping extravaganza, but save it for another trip). Spend the whole day or part of it on the water, then head to Townsend, 30 minutes east. Or start off with a big hike. How big? Iconic big. 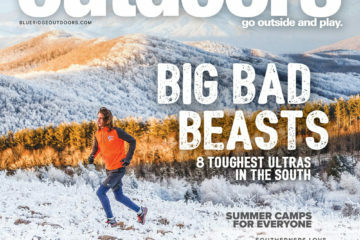 The hike to Rocky Top (yes, that Rocky Top) is 12 miles round trip and gets you on the AT, and it makes for a big day (or a speed hike with a return in the dark if you try to make an afternoon of it). 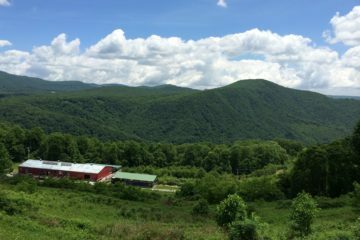 The payout is a spectacular view where, on a clear day, you can get an idea of what the Smoky Mountains are all about. Take lunch at Barbob’s Burgermaster Drive-in where a monster burger—and fries ad a shake—will satisfy and fuel you up for the afternoon ahead. 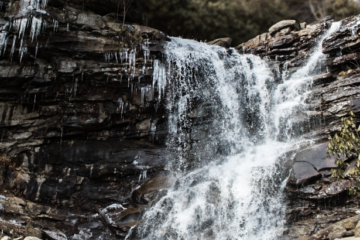 The hike to Abram’s Falls, in GSMNP’s Cades Cove, is an easy one—5 miles out and back—so make that the afternoon delight. 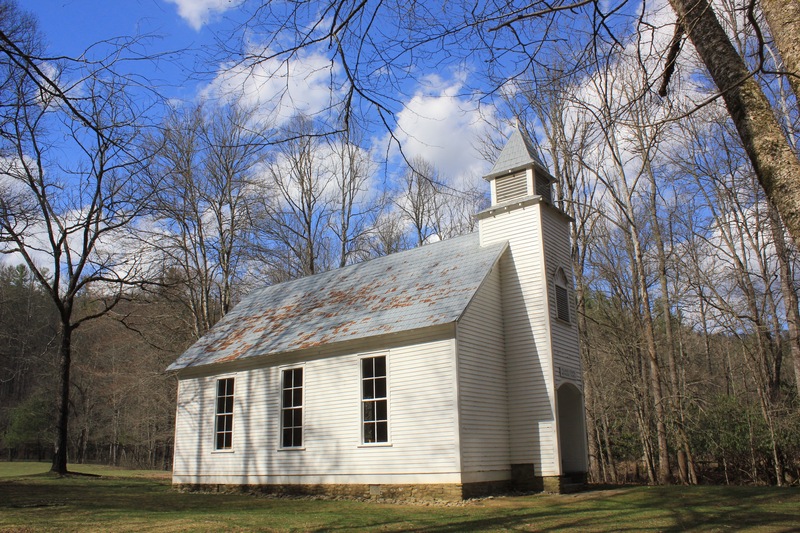 Drive into the park, make for the 11-mile loop that is Cades Cove and enjoy the crowds (it can become a bit of a traffic jam as people who act as if they’ve never seen a tree or field stop for photos every 100 yards) as you circle to the halfway point of the park and the trailhead. The falls aren’t big, only 20’, but there’s a lot of water flowing over them, which means no swimming as the current is strong at the base of the falls. Hike back to the car and head out of Cades Cove, stopping for another short hike near the picnic area or campground. Cades Cove in Great Smoky Mountains National Park. 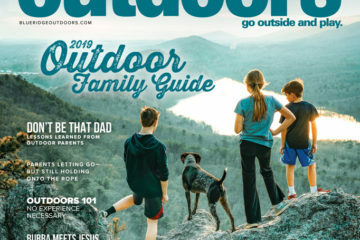 Camping in Cades Cove is an option, if you can get a campsite (it fills up fast), but go back to Townsend and stay at one of the cabins, a flashy mountain resort, or one of the bargain-priced chain hotels. Wherever you lay your head, clean up and grab dinner. Trailhead Steakhouse serves a decent steak (and an all you can eat salad bar if you’re feeling the need for roughage), Chicken House has some good fried chicken, and Riverstone Restaurant is one part down-home cooking, one part burgers. 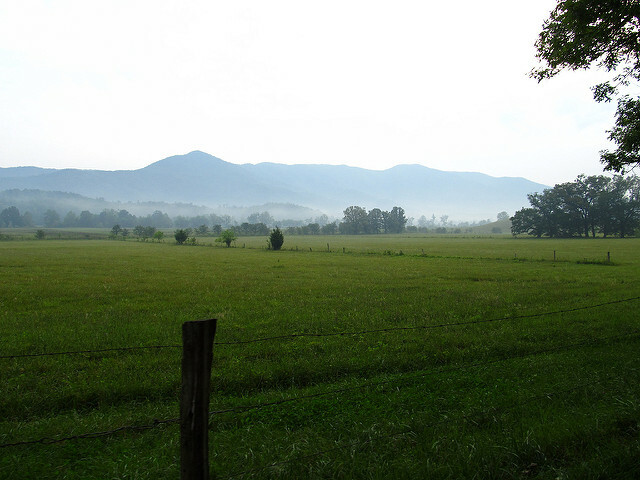 Get up early and go back to Cades Cove. On Wednesday and Saturday mornings from May to late September, the loop is closed to auto traffic until 10 a.m., which means you can rent a bike (get there early, like 6:30 a.m. early to rent a good bike) or bring your own and ride the loop at your own pace and without the threat of gawking drivers who aren’t used to cyclists being around. Riding this early means great photo opportunities, plenty of wildlife (deer, bear, fox…), and the chance to see some of the historic buildings—churches, homesteads, cabins, schoolhouses—before the crowds get there. Bear in mind it is an 11 mile loop, so if you’re not used to cycling, pace yourself. 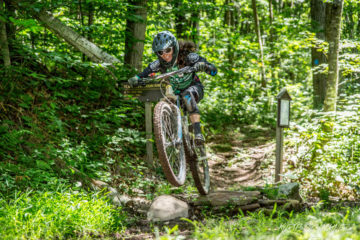 If you are used to biking and you brought your own mountain bike, you can do something a little different: ride out of Cades Cove on Rich Mountain Road. You’ll want to shuttle one car to the parking area at the end, near Townsend, and drive you and the bikes to Cades Cove in the morning, but it would make for a fun ride. The road is a wide, gravel track up and over the mountains. 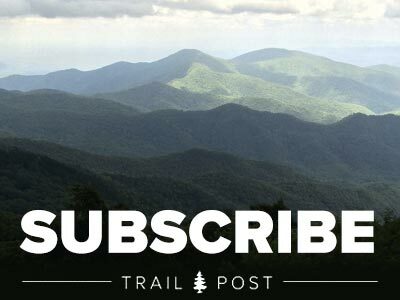 Bear, deer and turkey are frequent sights on Rich Mountain Road, and there are a few good overlooks providing panoramic views of the Smokies and Cades Cove. 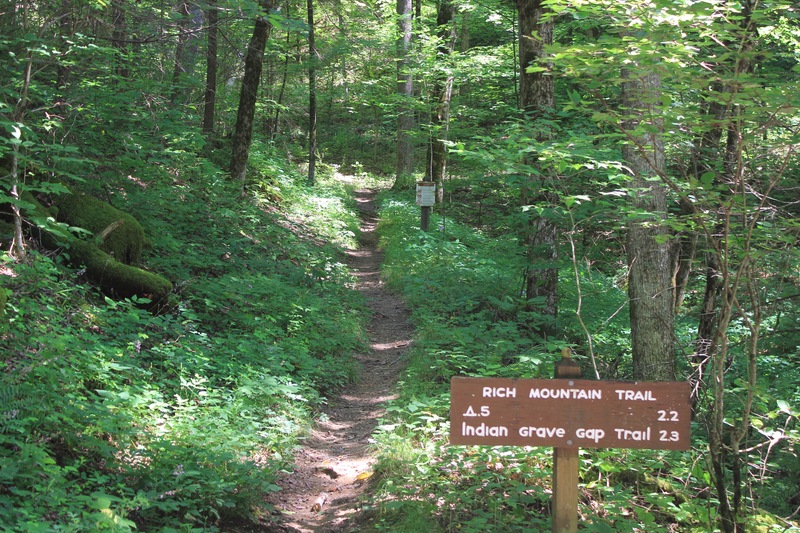 (If you’re feeling like you need a little more of a leg workout, bring your boots and take one of the hikes to Indian Grave Gap or Rich Mountain Trail.) This isn’t singletrack riding, so don’t expect anything technical aside from the gravel surface and the chance encounter with a bear, but it is an unusual ride in the national park. That afternoon, cool off, after all you biked and it’s warm. 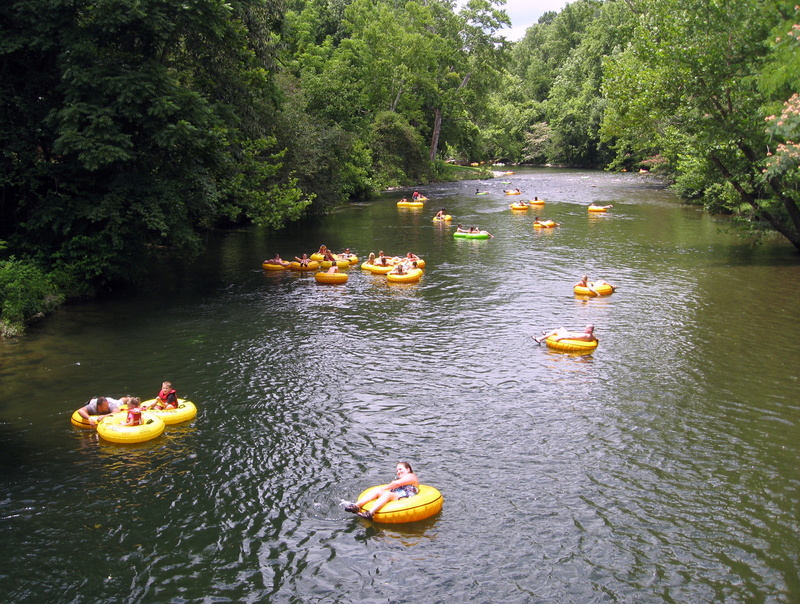 In Townsend there are five places where you can rent tubes and go for a float on the Little River. It lives up to its name as it’s a gentle float with plenty of places to splash and swim and wash the trail dust off. You can also head underground to Tuckaleechee Caverns where it’s always 58˚. The tour groups can get a little big, but if you’re there later in the season, things slow down a bit (so much so they close for winter and reopen in spring). The cave was discovered by two boys who would slither in and play by the stream running through the cavern, but you don’t have to play nightcrawlers to get in, there’s a nice entrance and a steep set of steps leading into the depths, where you’ll be wowed by the dual nature of the cavern (there’s a wet and dry side) and one humongous room—seriously, it’s almost a cubic football field—where they turn out all the lights and give you a taste of real darkness. Make your own, brother. Stop in at The Casual Pint in Maryville for a good selection of bottled beers.